What is the standard of a beautiful face? By precise and scientific analysis approach, individual 1: 1 personalized surgery plan is set up, and individual weakness of face is supplemented. It is a facial contour of Faceline that completes the best surgical results by taking advantage of the inherent merits of the face. 1. The surgery plan is different!! Reduce the face just by looking at the bone?! Pretty face! The change of actual face is important than the bone! Facial contouring surgery usually establishes a surgical plan based on bone (X-ray). This method is difficult to reflect the actual amount of facial change including soft tissues. REAL determines the amount of change in the actual face including the preoperative facial tissues, and then inversely estimates the amount of bone movement, the amount of elimination, the area of surgery, and the angle, thereby securing the disadvantage that different results are obtained It is the know-how of facial contouring surgery that only the face line that changes the actual face beautifully. 2. The surgery plan is different!! Soft face line, anti-aging effect! It can reduce the sagging while reducing the cheekbone by moving the osteotomy piece inwards and backwards without removing the bone. It uses cheekbone's posterosuperior movement technique to reduce the side cheekbone certainly without reducing the size of the face. At 45 degrees cheekbone, the cheekbone is moved into the posterosuperior at the same time as the entire cheekbone is pushed inward without removing the bone. The more it’s moved to posterosuperior, the greater the reduction of the 45 degree cheekbone. Cheekbone reduces more, but at 45 degrees cheekbones do not have any remaining skin, so the deflection of skin can be minimized. Depending on the shape and size of the cheekbone, the angle of the 45 degree cheekbone osteotomy line, the amount of movement to the posterosuperior, and the amount of movement from the posterior to the inner side can be adjusted to achieve optimal results for each individual. Completion of a young and beautiful jaw that is slim even in the frontal view! Commonly referred to as square jaw surgery is the edge of the lower jaw, that is, surgery to remove only the angle of the mandibles, is the most common practice. However, the mandibular incision can improve the soft and slender lines of the lateral face after surgery, but the effect of slimming the face from the front is low. Faceline's Frontal Effect The Jaw Reduction Surgery keeps the soft angle and does not cut too much at the under-the-ears angle, it is trimmed with a natural jaw line, and the outermost layer of the bones of the jaw muscles is removed. Since the thickness of the bone itself and the volume of the attached jaw muscles are reduced together, the effect of reducing the face from the front can be seen, and the effect of reducing the width of the actual jaw can also be seen. The middle of the jaw line (Body, body part) can be said to be young and pretty chin. On the contrary, if you see the body part, it can become an element of aged looking face. Slim-fit lower body reduction surgery is a chin reduction that cuts and polishes the mandibular body (body) and completes a natural and slender V-line at any angle. The entire chin is trimmed at a time from the ear corner to the lateral jaw line. Trim smoothly without worry of secondary angle. Reduces the side of the bone and 45 drawings, which is excellent for frontal face reduction. Can be improved with a totally smooth jaw line. Minimize the volume of the mandibular body and make it look younger and more beautiful. Completion of sophisticated V-line jaw tip!! The length of the face is short, convex, and smooth! By reducing the length of the face by reducing the facial aspect of the face, while maintaining the hairline and hair of your own, the face improves into the ideal ratio. The incision is cut in an oblique line, and the biceps hair is alive. Over time, microscopic scars are concealed between the hair. 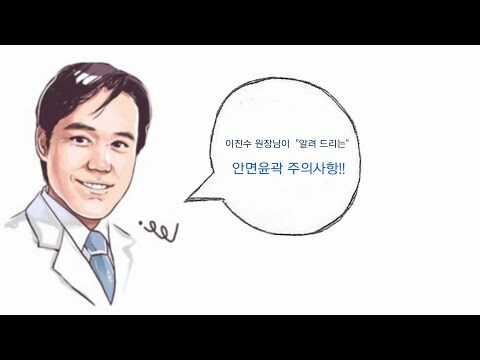 Why Smart Forehead Reduction Surgery? 3. Surgical results are different!! Faceline’s Main Facial Contouring Surgery! !